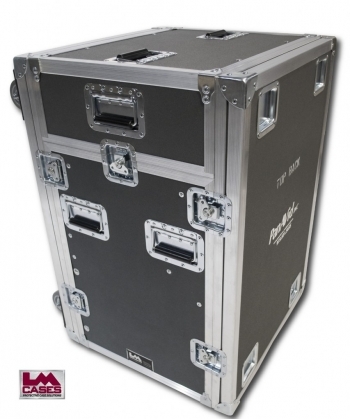 This case was designed and built for Panavid. 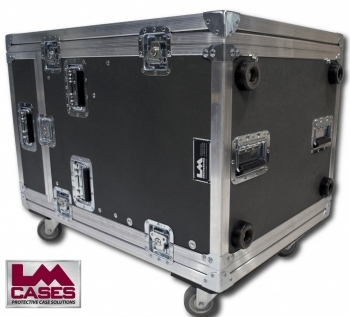 The case is designed to hold a Sanyo PLC-ZM5000L projector, 3 lenses and 8 spaces of rack equipment. Panavid primarily uses the case for corporate events, keeping the case aesthetically pleasing as well as functional was a top priority. The projector is designed to be used with the top lid of the case on to allow a finished look. We created an angled piece of PE foam to elevate the front of the projector to allow for a proper viewing angle. 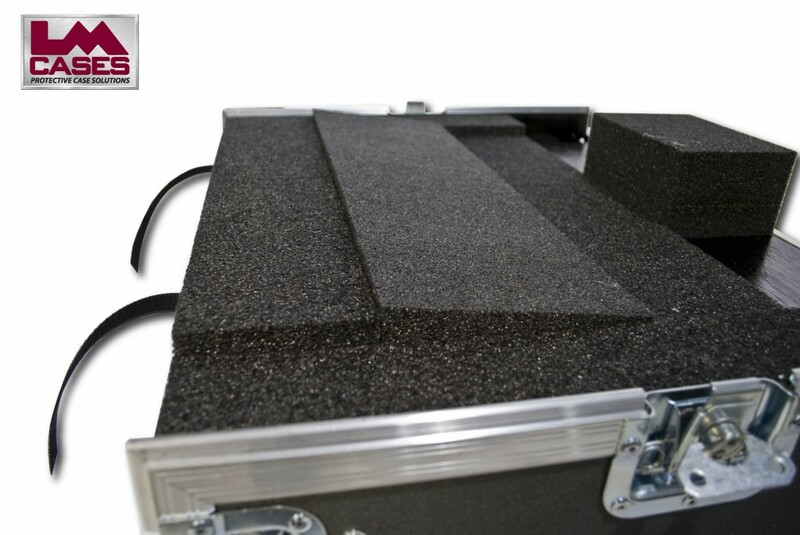 If a steeper angle is needed, they can simply remove the lid and use the integrated feet to achieve the desired angle. Under the projector compartment is a custom drawer that features a CNC cut foam insert to hold 3 lenses for the projector. There is also a rack section in the case to hold all the support equipment needed to power the projector during a presentation. The rear of the case features a custom cover that matches the color of the exterior case to cover all of the interconnects between each compartment. 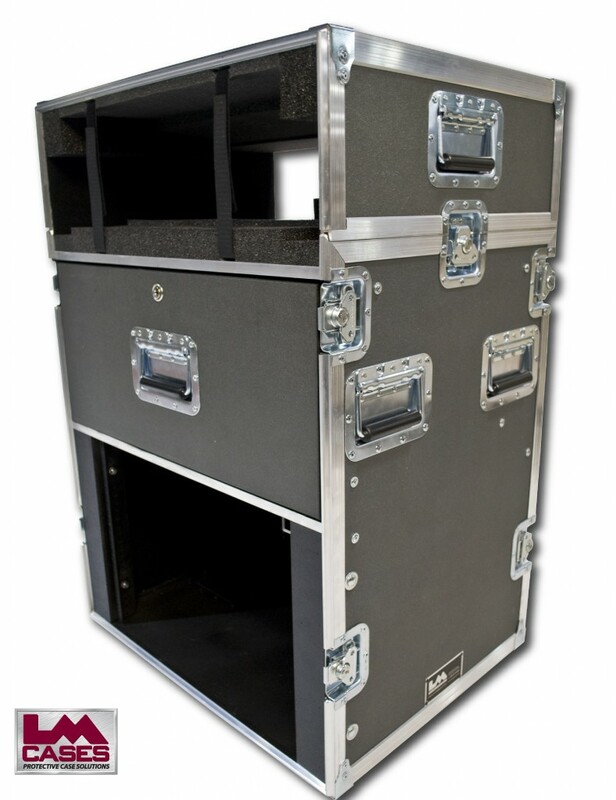 The case rides on 3.5" casters mounted on its front lid, the rear lid features stacking cups that mate with a previously designed cable trunk. 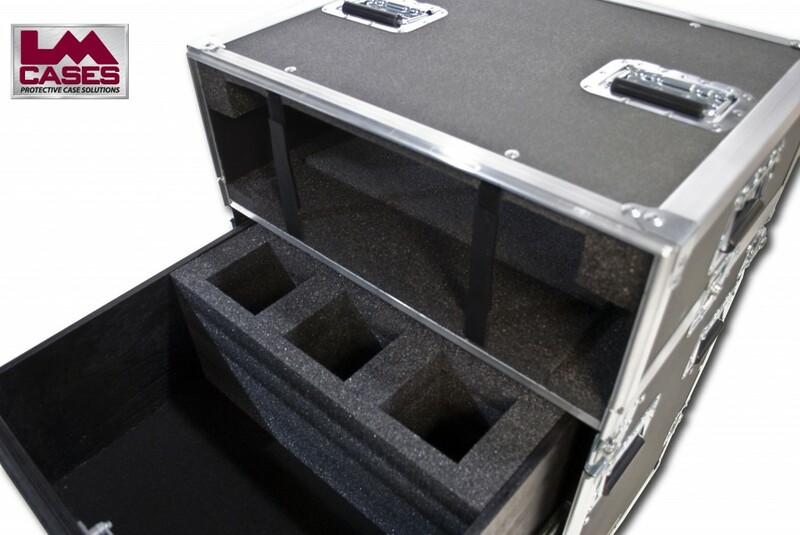 The case is built out of our proprietary 3/8" composite panels to cut down on the overall weight of the case.